Lesley Dodson is a process aficionado. She’s on the perpetual lookout for ways to optimize processes by wiring technology, marketing, and people together. She researches and designs process improvements while leading projects at work, grabbing a cup of coffee at Starbucks, and volunteering for local nonprofits. Even a shopping trip to IKEA can inspire an afternoon of process modeling to boost productivity in another area of her life. Positive, energetic and a tenacious problem-solver, Lesley relies on communication, ongoing discovery, and flexible processes to support teams and drive projects forward. She has 20 years of experience building collaborative teams, managing technologies and change, with roles at organizations that include Nike, Norm Thompson Outfitters and M Financial Group, where she served as Director of Technology Operations and Vice President of M Advisory Services. 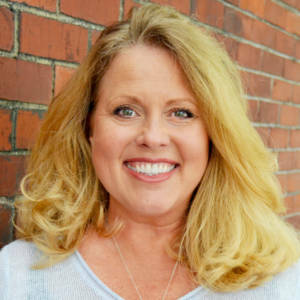 Lesley holds an MBA and a BSBA from the University of Arizona, and she serves on the Board of Directors for The Pongo Fund, an Oregon nonprofit focused on fighting animal hunger.